The orthomosaic is generated based on the DSM that was created from the Densified Point Cloud. Thereby, errors and noise present in the Densified Point Cloud will be reflected in the orthomosaic. These distortions occur because Orthorectification is used instead of Photo Stitching, for more information: Photo stitching vs orthomosaic generation. When computing the Densified Point Cloud, the altitude of the points will not be perfectly estimated. However, errors and noise can be minimized with datasets that have high overlap, good visual content of the images, GCPs, etc. 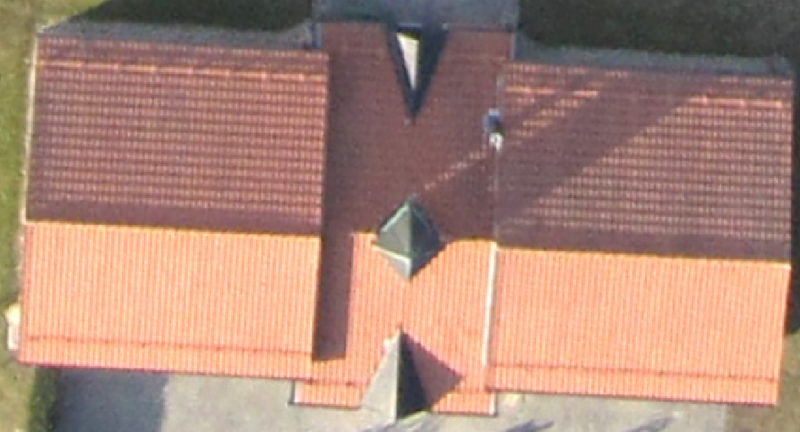 These errors and noise result in altitude differences for points that are supposed to be at the same altitude: for example points that belong to the same edge of a building. 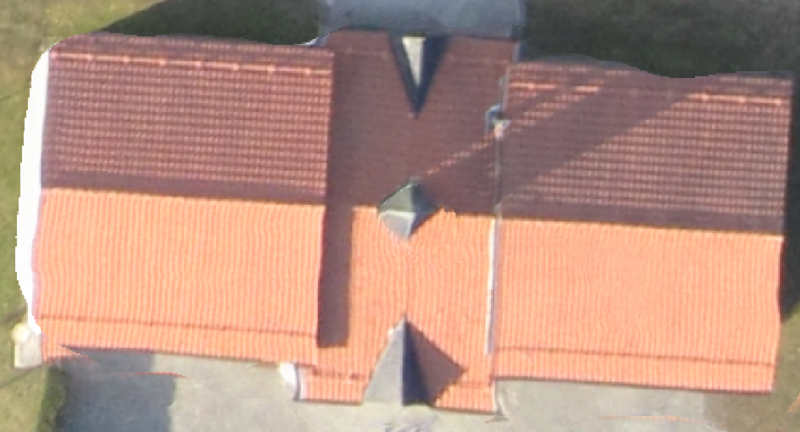 This altitude difference explains the distortions that appear near building edges in the orthomosaic. Before Processing: Fly again with higher frontal and side overlap and if possible fly higher. If there is no need to reconstruct the facades of the buildings, it is recommended to fly with the camera pointing to the nadir: Vertical vs oblique imagery. 4. On the section Point Cloud Densification, deactivate Multiscale. 4. On the section Raster DSM, select Method Inverse Distance Weighting. Use the rayCloud to create planar surfaces on the affected objects: How to correct Building Artifacts in the DSM and Orthomosaic with the rayCloud. Important: Preserves the geometry but requires more manual work than selecting planar projections with the Mosaic Editor. Use the Mosaic Editor to draw regions around the objects to correct and select a planar projection: How to improve the Visual Aspect of Buildings in the Orthomosaic with the Mosaic Editor. Does not preserve the geometry (it should not be used for measurements), but it is faster than editing the densified point cloud in the rayCloud. Affects only the Orthomosaic and not the DSM. The better the overlap, the better the planar projection that can be chosen: more nadir, preserving better the geometry.